A commercial real estate and financing lawyer, Mike Sullivan helps clients who invest in, lease, and finance all kinds of real estate. As the leader of the firm's Real Estate Practice Group, he is experienced in the full spectrum of complex commercial real estate transactions. Mike's clients include real estate developers, REITs, opportunity funds, publicly traded companies, national and regional lending institutions, local and national retailers, and owners of middle market and closely held companies. His practical, thorough and responsive client-focused representation centers on the ultimate goal of getting the deal closed, on time and on budget. With that in mind, he presents clients with cost-effective solutions designed to protect their interests while complementing their business objectives and timing needs. He represents clients who are buying, selling, financing, developing and leasing office buildings, retail centers, industrial sites, large-scale, multi-unit residential developments, hotels, and medical properties. He is experienced in handling historic tax credits, mezzanine loans, construction financing, reciprocal easement agreements, ground leases and subleases. 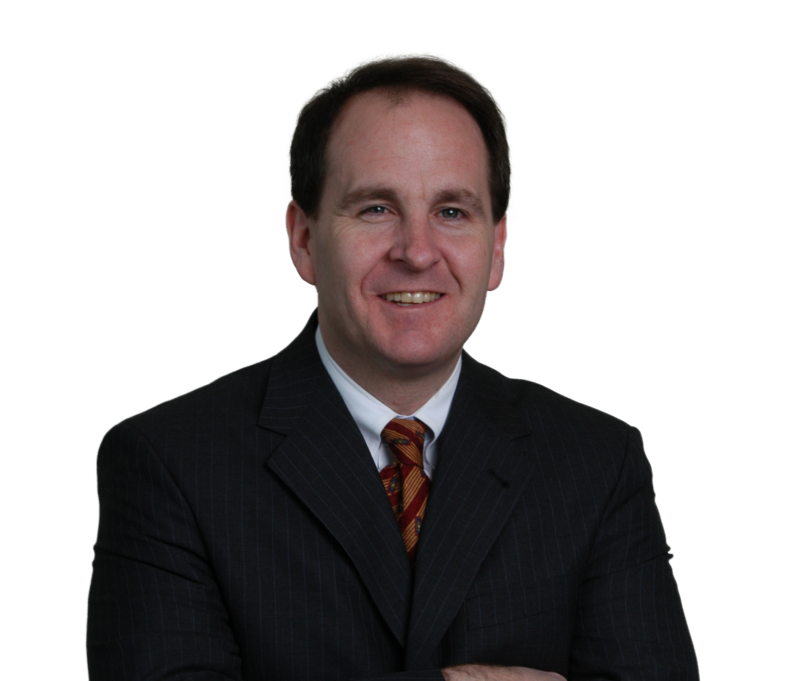 Mike has extensive experience in handling a range of real estate loan workout matters, including forbearance agreements, deed in lieu agreements and Section 363 bankruptcy sales, often collaborating with firm bankruptcy lawyers and other litigators to craft beneficial solutions for his clients. He is a member of the Advisory Board of the Over the Rainbow Association (OTRA), a not-for-profit organization that provides independent, barrier-free housing and meaningful employment to physically disabled adults. Negotiated all aspects of the $225 million purchase of the IDS Tower – the tallest building in Minneapolis – completing the complex transaction in six weeks. Represented a developer in a $400 million redevelopment of a 1,200,000 square foot building located in the Chicago Loop and listed on National Register of Historic Places. Redevelopment included a five-star hotel and Class A office and retail space. Responsibilities included creating a vertical subdivision of hotel, retail and office air rights parcels, drafting a reciprocal easement agreement among the owners of the parcels, and negotiating a $35 million mezzanine loan, which included the pledge of historic tax credits, all in the span of five weeks. Subsequently represented the developer in the sale of the tax credits to the largest purchaser of tax credits in the country in a complex transaction that affected virtually every aspect of the project. Counseled a privately held REIT managed by a global, publicly traded real estate services company in its refinancing and sale of a portfolio of Class A, high-rise office buildings in Florida valued at more than $300 million. Created a vertical subdivision of a major component of a Michigan Avenue shopping center and completed the sale of an air rights parcel within the vertical subdivision to a national retailer. Advised the opportunity fund of a prominent real estate developer in its acquisition and financing of $168 million office park in Deerfield, Illinois, consisting of 6 Class A office buildings containing approximately 800,000 rentable square feet of office space. Represented well-known developer in a major mixed use development, located in the Streeterville area of Chicago, comprised of multi-million dollar condominiums, more than 300,000 square feet of retail space, a hotel, a multiplex movie theater and office space, valued in excess of $500 million. Represented an S&P traded, international higher education organization regarding the lease of its headquarters comprised of approximately 220,000 square feet. Also represented this organization regarding the lease of classroom and administrative space ranging from 5,000 to 70,000 square feet in Class A office buildings in major metropolitan areas throughout the United States. Counseled an international real estate company with one of the largest office building portfolios in the United States regarding office and retail leases with tenants in high rise office buildings in downtown Chicago. Represented a national trucking company in connection with a $50 million loan secured by distribution facilities and corporate offices in four states, truck fleet and equity interests in the company. Represented a group of physicians in the acquisition, financing, and redevelopment of a nine-story hospital building and related facilities into a neurological surgical center. Assisted a mezzanine lender in its purchase of a landmarked Chicago Loop office building via a Section 363 bankruptcy sale. Advised a national lender in the acquisition financing of the Spire project in Chicago. Represented a partnership in its acquisition, renovation and sale of a distressed 330,000 square foot office building located in Naperville, Illinois. After completing a major renovation of the property, the partnership sold it to BMO Harris Bank for approximately $31 million to use as a regional technology and operations hub where at least 1,000 bank employees will be based. Aspects of the project included the acquisition, partnership formation, construction contracts and sale of the property. Handled loan restructurings, removal of partners, restructuring of organizational documents, removal of general contractor, completion of projects, and disposition of properties for a partnership owning a portfolio of office, retail, and residential properties. Represented a regional lender in $60 million refinancing of loans to prominent Chicago manufacturing company, secured by 19 properties in 4 states; domestic and foreign patents, copyrights and trademarks and guarantees from foreign affiliates.